Atheism, the idea that there is no God or Creator, is a conception of the human mind that occurs at various stages of mental and spiritual development. It may appear in undeveloped minds that cannot perceive a deeper reality than that of the physical world. It may also appear in more developed minds who see through the limitations of organised religion and its dogmas and can no longer accept them as true. From the Hindu perspective, it is wrong to say that atheists are necessarily worse people compared with those who believe. The important thing is our enquiry into the Truth. If this enquiry is more alive in an atheist than in the dogmatic follower of a particular religion, such an atheist may be a better seeker of Truth, and therefore closer to God, who is Truth. Furthermore, a person’s karma (actions) are more important than their beliefs. There are some paths within the tradition of Hinduism that do not believe in God as a Cosmic Lord, but are still intensely spiritual. 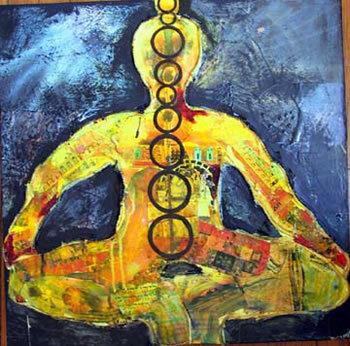 Dharmic teachings, like Sankhya, Mimansa, Buddhism or Jainism are atheistic in the sense that they do not regard God as a Cosmic Lord to be the ultimate reality. They do however believe in a deeper spiritual reality of consciousness, including karma and re-incarnation, hence are not atheistic in the sense of not believing in a divine reality underlying the material universe. It is also possible for a Hindu to not believe in a spiritual reality and yet be a Hindu. This may sound strange, like by saying this I am trying to go overboard in accommodating everyone in my definition of who is a Hindu. There are people who do not believe in a spiritual reality at all, yet identify intensely with the Hindu civilisation – its history, its struggles, its achievements, its people. They may also be champions of certain parts of Hindu wisdom – such as medicine and breathing techniques, which although are designed to be used as an aid to spiritual practice for helping an individual come to experience the spiritual reality underlying the material world, can still be practiced separately for health and calmness, quite independently of one’s religious beliefs. 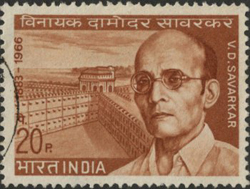 One striking example is Veer Savarkar (1883-1966), a prominent Indian freedom fighter. In fact, he is widely known by friend and foe as the ‘Father of Hindu Nationalism’, through his writings and social activities which were aimed at creating a renaissance of Hindu civilisation. He declared himself as a non-believer in God, yet considered himself a very staunch Hindu. Nobody in their right mind could say that Veer Savarkar was not a Hindu, thus proving that defining who is a Hindu is based on more that simple beliefs. Can you imagine world without hIndus. Under islam all past ( good ) will be destroyed and people will be back to stone age based on saudi one book written in desert by people based on memory.